You will need our Custom Technic Pack to Play! Pixelmon Carbon is something I have always dreamed of making into a reality. Pokemon is about going through a game route by route, gym by gym and catching all the pokemon along the way to become the best. I believe a Pixelmon server should also be the same! 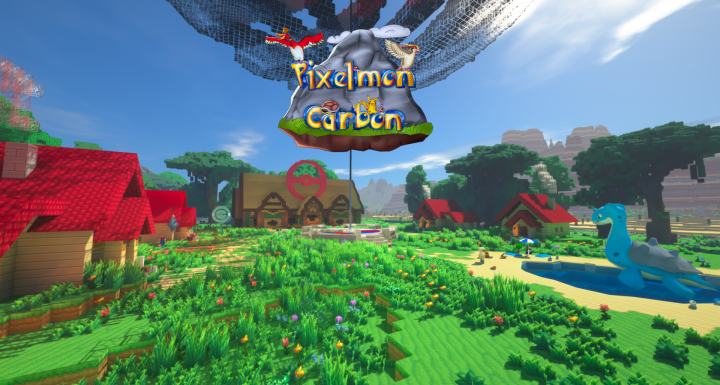 We have a RPG map with all these features including Quests, Dungeons, Hidden Areas, Custom Spawns, Elite 4, Working Safari Zone, and much much more! We also have a Survival Map attached to this simply in a different dimension. So yes everything is sync'd. This server may be released but we are constantly adding in more features based on players request. Did I mention Anti-P2W? The server follows Mojangs EULA, we will never sell anything to give players an advantage over another only cosmetics. Join us today to help see this dream become a reality!